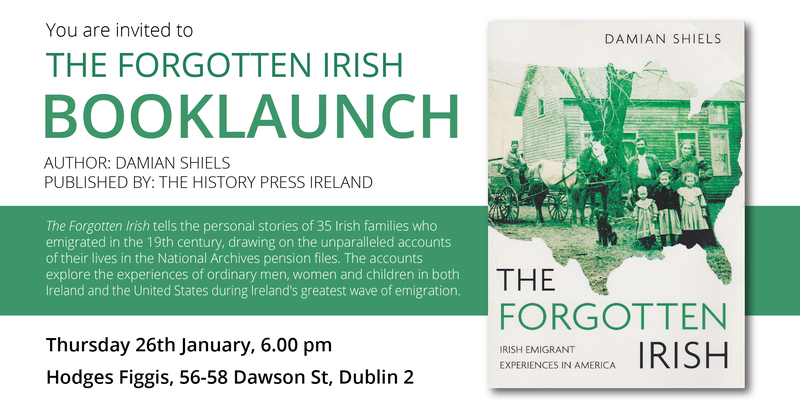 I am delighted to announce that the official Irish launch of The Forgotten Irish: Irish Emigrant Experiences in America will take place in Ireland’s oldest bookshop, Hodges Figgis of Dublin, on Thursday next 26th January at 6pm. The publication will be officially launched by Dr. Myles Dungan of the RTE History Show, who has himself been a trailblazer in popularising the experiences of the Irish in America. This book, which tells the stories of 35 different 19th century Irish emigrant families, has been a particular labour of love for me. Each story is founded on information contained within the Widows and Dependent Pension Files of Civil War soldiers, which I believe is the greatest repository of social information on the experiences of 19th century Irish emigrant families that exists anywhere in the world. The publication seeks to follow some of these families in both Ireland and America in the years before, during and after the war that caused the files to be created. To get a flavour of what it contains, see this post. The launch is open to all, so I hope some of you will be available to attend with me. For those readers in the United States, the book is being released across the water in May next, with plans for a March launch in Washington DC currently taking shape- I will keep you up to date on developments in the coming weeks! 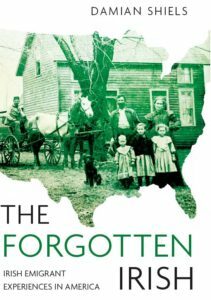 All are welcome to the official launch of the excellent new book that reveals the personal lives of Irish emigrants to the United States in the 19th century and the families they left behind in Ireland. Looking forward to picking up a copy in Dublin when I’m there in May. Congratulations! Can’t wait to read this. Thanks a million Lois, let me know what you think of it!